14th Apart from the ongoing price drops in the 5D2 (down to $2k at B&H), the only specific rumours we’ve seen, have suggested that by Photokina, we will have seen both 5D2 and 7D replacements announced, and that if Canon does go for a higher MP FF body, it won’t be the 5D3. There has been quite a bit of testing of higher MP sensors for what would have been the 1Ds Mk4, so 32-39MP isn’t out of the question – it just depended on ‘the market’. It runs from November 27th to January 7th next year. See also 5D3 and 1D Xs pages. 7th A Canon ‘roadmap’ of sorts from the c300 announcement the other day. Not the sort of thing we ever see much of from Canon. One use for this would be for selectively reducing the sensitivity of pixels receiving high levels of light. This would introduce a degree of non linearity into the sensitivity of pixels, expanding dynamic range and giving digital sensors a less hard cut-off at the top end, more akin to film. 4th CPN technical info on the new C300 video cameras. Note: We now have a page more specifically covering video related rumours and info. 3rd The Canon ‘Cinema EOS’ event in Hollywood is underway. * There will be at least two cameras announced, possibly three. * PL and EF for sure. I also think a 5D3 will be “announced” but not shown. * A Set of Canon Prime Lenses will be shown. All manual capability. *** This is Big. * We already know about two PL zooms shown at NAB 2011. * 4:2:2 with 4:4:4 Upgrade as an additional upgrade. * $10K plus for the EF model and up to $15K for the PL version. * I think the 5D3 will be a little higher than 5D2 at around $3K. * There will be less expensive models to follow. Interesting, although I’m minded to thing that a 5D(3) announcement only, would seriously dent what are still (I’m told) very healthy 5Dmk2 sales. 24th Pixma Pro-1 A3+ printer announced. 19th We’ve no camera or lens releases more than hinted at, at the moment. There does seem to be more likelihood of a print related announcement(s) on the way. 18th The Canon online store in the US has a number of offers on various bundles. The 1Dx is announced – and digital MF back makers breath a sigh of relief. Whilst I’m not giving it much credence at the moment, we’ve also been sent some comments suggesting that the 1D X is to get a ‘studio version’ in a year or so. The 1D Xs ? 17th For the day before what’s said to be a big announcement, there’s very little info about. Meanwhile some more certain 1D/Ds specs appear. If no DSLR, then how about a full frame mirrorless? 11th More and more random bits of Canon info suggest that something is on its way. Nothing as yet though that I’d wager much real money on. 3rd I note that Sony has discontinued the A900 – so both of their full frame cameras are now discontinued. 28th The Pixma and EOS logos on the invite to the US event have suggested that a new printer is on its way [our Canon printer info] and maybe a camera as well. Could we see an actual announcement on the 25th? Meanwhile Canon announce a use for that huge sensor they were showing off last year. Here it is compared to a 35mm FF sensor. “Canon Inc have announced an ultra-large-scale, ultra-high-sensitivity CMOS sensor which has been developed to enable the video recording across a wide 3.3° x 3.3° field of view with an equivalent apparent magnitude of 10. 18th We’re hearing of ‘something due’ from a lot more people of late. Unfortunately no details, but a 1Ds4 is the most common mention. 17th Next week could be printers – no solid DSLR info at the moment. 15th As widely expected, Canon have anounced two new Powershot cameras – not a topic I’d normally cover, but there is this of note in the press info. DIGIC 5 is here. 14th Interesting 1Ds4 (54MP) and 5D3 (24MP) rumours received. 11th The first we heard of the ‘no Canon DSLR for 2011’ comment at CR, was an email from one of our older sources, who said they were confident that I would still get my 1Ds3 replacement by the end of the year (or first thing 2012). Every Canon pro camera I’ve ever followed has taken 2-3 months from announcement to shipping. 8th Some time ago there was a Canon patent relating to wireless flash connectivity and slave firings of cameras. There is a longer discussion of what this could bring about at PB. Multiple synchronised firings of cameras at 10 fps overlapping in a way to give much higher effective burst rates are one option. 5th Just like the folks at CR we’ve had no solid dates or potential specifcations for DSLRs. No-one that I know has put a 5D3 before a 1Ds4, so I’m still personally putting the 5D3 as a 2012 camera (a photokina year). In the mean time, I’ve finally finished our Epson R3000 review, which turned out a bit longer than I’d expected. 31st Sony are saying that there will be a full frame follow-up to the A850/900 [SAR]. The 24MP, 12 fps Sony A77 is interesting in its use of a fixed mirror and an OLED XGA viewfinder display. United Kingdom, Republic of Ireland, 22nd August 2011- Canon announced today further details about the Pro Solutions show on 25th and 26th October 2011 at the Business Design Centre in Islington, London. Aimed at video, broadcast and still imaging professionals, visitors will experience Canon’s complete workflow solution from image capture to output. The show aims to educate and inspire visitors and the schedule of seminars continues to be an important element of the show. Canon are pleased to announce the following seminar speakers: Canon Ambassadors Jeff Ascough and Jonathan & Angela Scott, Magnum Photographer Martin Parr, Digital Cinematographer Philip Bloom, Landscape Photographer David Noton, Wildlife Photographer and Filmmaker Charlie Hamilton James and Landscape Photographer Charlie Waite. There will be a comprehensive line-up of the Canon range and the show aims to demonstrate how Canon technology and that of compatible products and services can be used by professionals in their digital workflow to generate increased revenue and business. These include ASK Electronics, Hasselblad, Hahnemuehle, Hire a Camera, Imagework TV, LastoLite and Rosco together with the Master Photographers Association. Last year’s show attracted over 2800 professionals. Now in its third year, Canon Pro Solutions 2011 has been designed to be the largest and most comprehensive exhibition of Canon’s Imaging products and the show will focus on professional users. Entrance to the show will be free for all those who pre-register on-line or £8 on the door during the show. This year there has been a much faster uptake for tickets and pre-registrations have exceeded expectations. 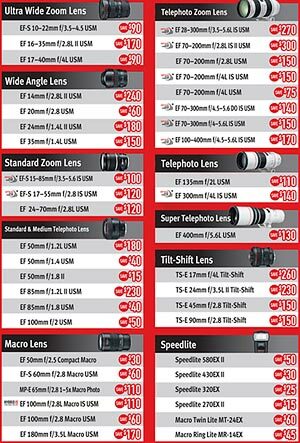 Individual zones for: EOS DLSR cameras, DPP software, EF Lenses and accessories, Professional Camcorders, Broadcast Lenses, Large Format Printing, PIXMA and SELPHY printers, PowerShot and IXUS HS cameras, LEGRIA camcorders, scanners, projectors, binoculars. 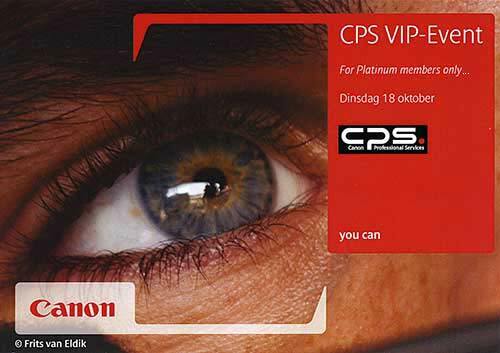 Canon Professional Services Zone; The CPS team will be on hand to open new CPS memberships and upgrade and downgrade firmware on your current EOS camera. The CPS team will also be running a programme of live demonstrations of Canon features including flash, EOS features and benefits, Custom Function and AF set-up. 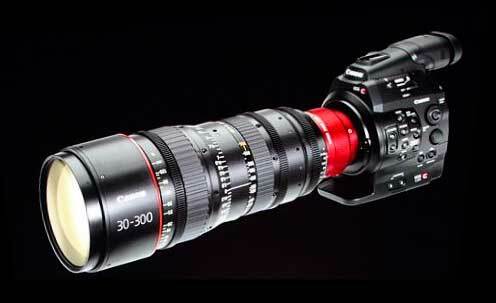 Canon broadcast lenses; demonstrations of wide, telephoto and High Definition lenses. 20th Our latest date for a Canon announcement (thanks) is next Friday – the 26th. First one we’ve had for a while from someone we know, so I’ll give this a (very modest) bump in reliability. 19th Revised announcement date from CR this time it’s next Tuesday and there will be no DSLRs, just lots of compact cameras – another announcement set for September. I suppose this could move the 1Ds4 (or more) to October, in time for the PDN Photoplus expo (26-29 Oct) or the Canon ‘Pro Solutions Show’ 25th and 26th October at the Business Design Centre in Islington, London. Canon are starting to promote their attendance at IBC2011 – a big broadcasting event from 9th to 13th September. 9th Canon US rebates include T3, T3i and T2i 18-55 and 18-135 kits – extended until 3rd Sept.
1st Thom Hogan modifies his predictions, upgrading the likelihood of a D800 (FF/’FX’) to come out with a D4 this month [TH]. Why mention this in the Canon section? One of the reasons we were told that a 5D3 was for next year was the lack of direct Nikon competitor. 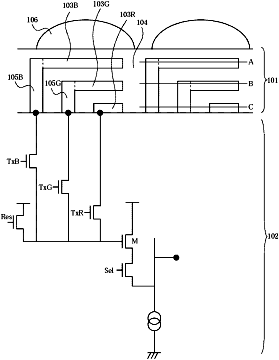 7th A Japanese patent from Canon (2011-129785) showing a multilevel sensor design [EG]. This particular design is back illuminated and attempts to get round some of the difficulties of multi-layer sensing with staggered overlaps. One of the problems in using differential absorbtion of light to overlay sensors is that good colour rendition is difficult to achieve. Green and blue can be quite difficult to distinguish. It’s not quite as clear cut as the nice Foveon graphics made it out to be when their chip first appeared. The previous Canon patent in 2009 for multilayer sensors is believed to have been part of the multilayer exposure sensor that appeared in the 7D. I note that that one didn’t have microlenses, whilst this one does. It’s worth remembering that what you see in patents is often a few years years old, so this one was filed in late 2009. 6th We’ve had several intriguing comments suggesting that Canon wants to ‘shake up’ the top end of digital imaging with improved sensors. The only details refer to that 120MP sensor from the Canon expo last year. I’m not buying too much into this at the moment – we’re in a big lull before announcements and I’m not expecting any more solid rumours until a month or so before something is on its way ‘for real’. 5th Between now and 31st Oct, Canon UK will be giving away a free training DVD and up to £150 worth of training vouchers when photographers purchase a Canon EOS 1100D, EOS 600D or EOS 60D [Canon UK]. The Pro Solutions Show will be returning again on 25th and 26th October 2011 at the Business Design Centre in Islington, London. Aimed at video, broadcast and still imaging professionals, visitors will experience Canon’s complete workflow solution from image capture to output. Held for the second time in 2010, last year’s show attracted over 2800 professionals. Now in its third year, Canon Pro Solutions 2011 has been designed to be the largest and most comprehensive consumer focused exhibition of Canon’s Imaging products. Its aim is to educate and inspire visitors and to demonstrate how Canon technology and that of compatible products can be used by professionals in their digital workflow to generate increased revenue and business. The article points out that this is an area of sensor design that lots of companies are working on. A lot of development and production work has gone into Bayer style sensors, this raises the bar for any ‘new’ way of building your image sensor – advantages have to be economic and in image quality. 22nd More US ‘Instant rebates’ for ‘Rebels’ [PDF]. Running until July 30th. 20th US ‘Instant rebates’ [PDF] on selected 7D and 60D combinations. Running until September 3rd. 18th After our 3D comments the other day, we’ve seen an upturn in all kinds of new and mostly unsubstantiatedrumours. Well, it’s different I suppose, but I have difficulty in seeing Canon making such a major change to a product line? It doesn’t fit the evolutionary Canon branding strategy that I see in their products. 8th Sony look to have discontinued both of their fullframe/FX DSLRs, with an official announcement for theA850 [PR] and the A900 de-listed on one Sony site. Canon’s sales of the ‘One’ series are not just about sales volume, they are about leadership and positioning – strip down a ‘One’ series and you’ll find a lot of common design features between the lines. 26th We’re told (thanks) that there will be a major announcement in August, although another source says September. Whether we will see one, two or no Canon announcements this summer! I do note that Nikon have said their launch schedule is unaffected [NR] and a major Nikon announcement is supposedly due for the end of August. So, a tentative 1Ds3 replacement in mid August, followed by a D4 at the end of the month, and a 5D mk3 for September? – although I still hear that the 5D3 won’t be announced until -after- the 1Ds3 replacement is shipping. Any clarity anyone?? 23rd A side note on the report from the 20th [1k1] – are Canon looking for foreign acquisitions? 20th Things back to normal for Canon by the end of June? “Canon expects its quake-hit supply chain to recover more quickly than originally estimated, giving a roughly $600m boost to its annual sales, the company’s chief executive told Reuters. Announcements back on for August? 11th More reports (thanks!) of Canon and Nikon pro level kit shortages/delays. 8th We’re getting numerous reports of low or nonexistent stocks of some items. In the UK, it seems that the 5D mark2 is pretty much out of stock everywhere. I’m even getting people phone me up asking… I was told that one major Canon dealer had a backorder waiting list of 16 people for the Mk2 – I’m currently putting this down to supply issues, rather than an impending 5D Mk3. What to do with the 650D though? (T3i replacement) – The xxxD has been updated every year since the 400D, which lasted ~18 mths. What to ‘improve’ that won’t make the 7D/60D look a bit more dated (see timeline below). Upcoming trade show news – PMA/Cliq (2011 Sep 8-10 [PMA]) has been cancelled and will now combine with CES next year (2012 Jan 10-13 [PMA]) since next year is a Photokina year (2012 Sep 18-23) and it’s unlikely they wanted to repeat this years (now cancelled) September PMA show date. So, were they told that a lot of stuff just wasn’t getting announced, or was it just another example of the diminishing role of trade shows? 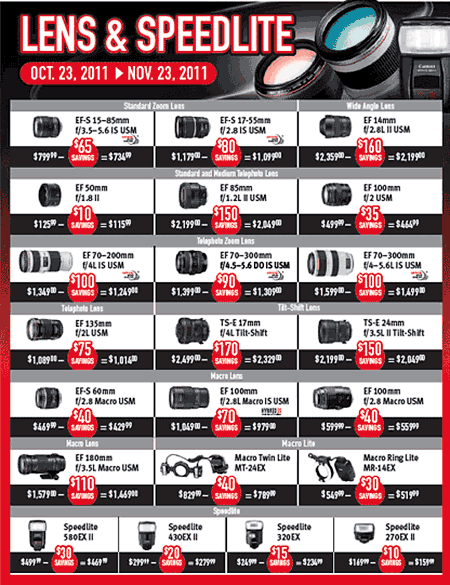 There is still the PDN Photoplus show in NYC (2011 Oct. 27-29 [PPE]). 2nd In a comment I’d almost prefer didn’t come from someone I knew, we were told that the 1Ds3 replacement announcement was now pushed back to August and that the 5D3 was likely ‘a January 2012 Camera’. Meanwhile, a previous source suggested that May was still on for a ‘big announcement’. If I add in a couple of anonymous posts, I now have a full set for the 1Ds4 from a few weeks time, through to next year… In other words, no-one who knows much is saying anything. Also, at CR there are suggestions that versions of the 5D3 are currently out for testing, and the 1D/1Ds merger may be ‘sooner than expected’. We’ve had no serious ‘unification’ rumours for several years, and indeed several suggesting that the differing needs of typical 1D and 1Ds series users meant that the two model approach was likely to continue for some time yet. 29th A few weeks ago we were told to expect a Canon announcement ‘within a month’. Well, we’ve heard no more, and no signs of any announcement in the next two weeks. Given what we’ve been told about delays related to events in Japan, I’d not be surprised to see some announcements pushed back. Anyone heard of any press events? I’m at a UK Canon large format printing event on May 19th [near Cambridge] but have no info on camera related events. Competitive pressures? It’s clear that Nikon’s own ‘lean’ supply lines are causing shortages and price rises. A new 1Ds Mk3 is back over £5k, for a camera announced in Autumn 2007. If you follow the link through to the translated patent you’ll see one of the problems of multilayer sensors discussed, that of colour rendition. With the Bayer filters, each colour filter can be tuned to a particular response. Once you incorporate the absorption of photons of different energies within the sensor it just gets a bit more tricky – Some may remember the big ‘Bayer is no more’ rush when Foveon came out with their sensors a few years ago. The delays in more widespread adoption of multilayer sensors reflect the fact that the actual engineering of high quality working multilayer sensors is a bit more than some nice powerpoint slides ;-) I still think we’ll see them before too long. Although it was suggested to me (perhaps only 1/2 seriously) that this was one reason why the 1Ds4 was delayed, I think we’ll see non-Bayer sensors in some Canon compact cameras first. Canon seems to have pulled a V1.2.5 release of 7D firmware – we’ll provide a link once it’s back on their servers [7D information page]. Last but not least – it’s 4 TIPA awards for Canon. 20th Nikon has a possible announcement next week [NR] – quite likely the 50/1.8G lens they ‘accidentally’ posted on their site last week – some higher end cameras are expected by some, but as with many camera manufacturers, the impact of events in Japan on timetables is not known. 13th A Canon pro DSLR announcement is expected in the next month, according to reports from NAB (thanks) – a suggestion that continuous AF during video was a key feature. No details as to whether it was 5D3 or 1Ds3 replacement. 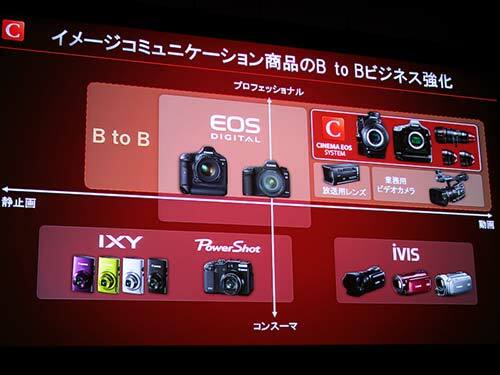 12th No DSLRs at NAB [PB]. New version of DPP (3.9.4) – minor update. 11th With the 5D2 getting on for 3 years old and the 7D nearly two (see chart below) even ‘my dealer told me’rumours are getting top billing in rumourland. The top people at a few large dealers are given some broad product directions for business planning, but they know better than to pass this on. I’m still minded to think that we won’t see a 5D3 surpass the specs of the 1Ds mk3 until Canon’s ‘flagship’ title has been passed on from the (2007) 1Ds3. “Canon today announces the latest update for EOS Movie Plug-in-E1 for Final Cut Pro – the company’s custom-developed software application that provides quicker and easier editing of EOS Movie footage in Apple’s Final Cut Pro software suite. “There will be product shortages across Canon’s entire camera portfolio; including cameras, videos, lenses and parts for camera repairs. Canon expects supply shortages will start to impact from around the middle of April and will continue to be felt through the middle of the year and potentially into the third quarter of this year. 5th A joint venture between Technicolor and Canon USA is announced [TC]. We also hear about a possible Canon DSLR announcement at the upcoming NAB show. 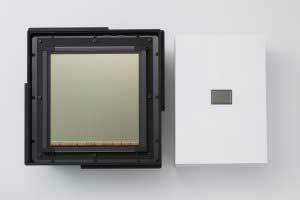 1st Sony make sensors for a lot of companies’ cameras. At [SAR] there is a suggestion that no sensors have been made for a few weeks. 30th We’re hearing much the same about delays in Canon products as they are at CR No-one has any firm info and one source said that they were specifically told to not comment. There is an interesting interview at the Swedish Fotosidan site, with Michael Owen of Canon [Google xlt] Could it be time for the 1D mk5 to move to full frame? Canon have lent us a 60D – I’ll be writing up some short articles about various aspects of its use – do let me know if you’ve any info you’d particularly like to know? 25th Courtesy of a physicist in Germany, who’s spent some time checking patents, we’ve been sent details of several Canon patents of potential interest. 18th We hear (thanks) that there will be significant Canon announcements at the NAB event this April (9th-14th) – no details though, and it’s not the place you’d expect a DSLR announcement. The 5D3 will be at least 6 months after the 1Ds4. The EF-S range of lenses is not a major area for expansion. ‘L’ series lenses are needed to get the best out of the current 18MP crop cameras. We’re also hearing of announcements in April, but as yet, no details. Since Canon also have patents in this area, I guess that we may eventually see varieties of this sort of sensor, but not until the technology works a bit better and it’s use offers clear business benefits. 28th No signs of any big announcements in the near future. 14th We’ve had further comments that the 1100D and 600D are the last Digic IV based cameras. Certainly seems reasonable if you look at the table below. 13th There has not been that much coverage of the CP+ show in English – At MegaPixel they have an English version of some of their coverage – lots of pictures. 12th We hear more (thanks) about testing of new video functionality in a FF DSLR – ‘full res’ HD coming out of the HDMI socket during filming. 2nd We hear (thanks) of a Canon press event next week – no good hints as to what yet. Candidates for replacement are the 1000D, 550D and 1Ds3 – I’ll not put much on the 5D2 replacement any time soon. More announcement news [CR] suggesting that a press info embargo ends on the 7th and that a printer is on the cards. Whilst a new printer might be on its way, the press invites are from Canon consumer imaging, so it’s likely to be a Pixma branded model – rather than something like an iPF5300. 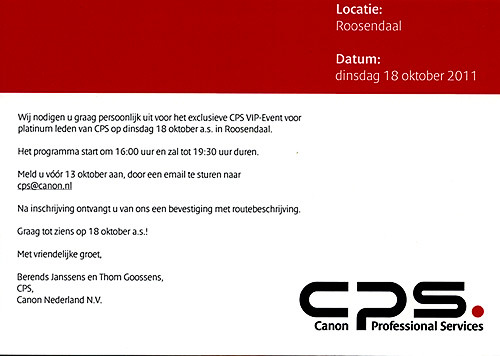 29th We’re told (thanks) that there are currently lots of cameras at the Dutch Canon ‘outlet store’ – 50D, 1000D, 7D & 5D2. 25th Rumours seem to be multiplying wildly at the moment – we’ve had our first EOS 3D rumour for a while and even the Indian edition of PCW pitches in with its 5D3 thoughts – although this looks more like a ‘quick, write 200 words about each of these rumours’ assignment. 12th Cliq is formally announced …”a new branded experience”. 11th PMA in September is rebranded as Cliq [Sept 6-11] and along with CP+ [9-12 Feb], these currently look to be the two biggest shows for announcements in this non photokina year. A lot of high end cameras are showing their age and it will be interesting to see the relative timings of announcements (Nikon/Canon) and how they try and grab the publicity. The one camera we’ve been told not to expect an update for this year was the 7D – can any of the current crop of Canon APS-C 18MP cameras get more MP until after the 1Ds3 replacement gets bumped up? I note the snippets of info on the Sony ‘A77’ and suggested new 24MP Sony APS-C [AP], and how it might influence a Nikon D300s replacement. 5th A number of announcements for CES – mostly smaller cameras. One that caught my eye was the A1200, which, for a basic model has a real (optical) viewfinder [DPR]. Is it possible that someone who’s slightly long sighted was involved in the design? A pet hate of mine with most small point ‘n’ click cameras is having to use the LCD on the back for composition. Whilst I will have some glasses with me when I’m working, I don’t regularly take them out when I’m likely to just taking snaps. 4th The CES show in Vegas starts soon[PR]. We’re not expecting anything particulalry significant from Canon and Nikon is also not expected to come up with anything of note [NR].